This week Jeannie D is wearing a stunning dress by Alessia Boutique. This week Sinazo is wearing a beautiful dress from Callaghan. The SAFTAs ceremony celebrates the best of what South African television has to offer and Top Billing is there to share the glittering event with you! This week Ursula is wearing an ink blue cocktail dress from Anamaria at Callaghan. This week Jeannie D is wearing a dress by David Tlale from his Autumn/Winter 2012 collection. This week Ursula is wearing a dress from the Versace Collection from Callaghan. With fire eaters, stilt walkers, clowns and carnival snacks no detail was spared in creating a truly magical circus extravaganza. Tune in to see it all! 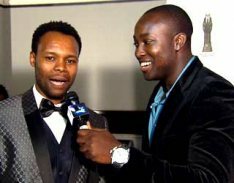 This week Top Billing presenter, Sinazo, is wearing a dress from Bello Couture. This week Jeannie D is wearing a stunning metallic dress from Alessia Boutique. This week Jeannie D wears a beautiful dress from Blue Bay Boutique. 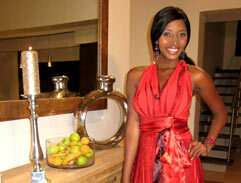 This week Top Billing presenter, Jeannie D, is wearing a showstopping dress from Blue Bay Boutique. 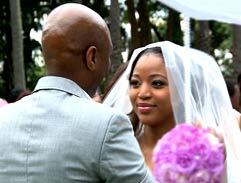 Join Top Billing as we get a front-row seat to the heartwarming ceremony and catch all the special moments on camera! This week Sinazo looks beautiful in a stunning red dress by Slate. This week Ursula is wearing a beautiful dress by Nicole Miller from Callaghan in Hyde Park.